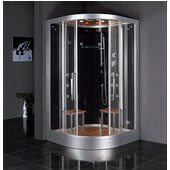 Enjoy the pleasures of the Steam Showers by ARIEL in your home. These steam showers are fully loaded with a steam shower enclosure, a built-in steam generator, and a FM radio, which are all designed to greatly increase your therapeutic experience. You will indulge in a state of complete relaxation and tranquility with all of these features within these steam bath enclosures. Imagine the sensation to dip your entire body in these simple, yet fashionably, elegant bathtubs. 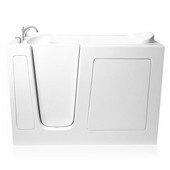 These whirlpool bathtubs have a set of superior hydro-massage jets specifically designed to target the user's pressure points to give a therapeutic soothing effect with a modern touch of sophistication. We are confident that these products will make you leave feeling renewed and refreshed. 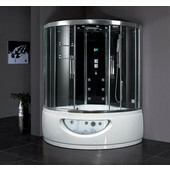 Walk in Bathtubs include a combination of whirlpool and air jets for the ultimate in relaxation. Now, users can both enjoy an independent bath and enjoy all of the luxury features it includes. 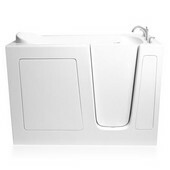 The whirlpool jets and the air jets deliver a gentle massage that will forever change the way you take a bath. These bathtubs are ADA compliant and available in Air, Dual or Soaking style bathtub.